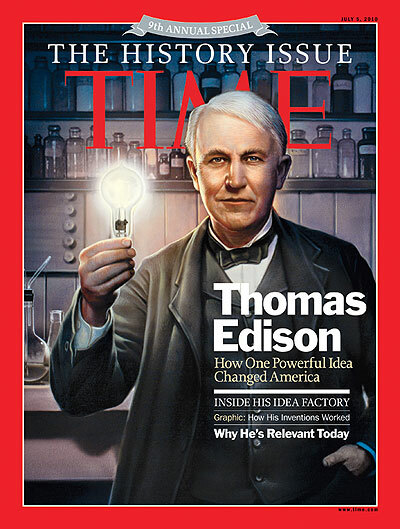 Thomas Edison on TIME® Magazine Cover – He is Still Relevant Today! Thomas Edison, the world’s greatest inventor, is featured on the July 5, 2010 cover of Time Magazine (The History Issue). These special Time History issues have focused on the accomplishments of Ben Franklin, Abe Lincoln, Mark Twain and other great Americans. The current Time article on Edison describes how the U.S. is losing its technology edge and our children are becoming less competitive internationally in science and technology. It also concludes, correctly, that Edison pioneered the “hands on” trial and error method of invention which served him well in creating the phonograph, motion picture camera, light bulb and the entire power utility industry, a method of invention still relevant today. Hopefully, Thomas Edison can help once more. He was the original image of “Yankee Ingenuity”, with a message that is still powerfully today. At his West Orange labs, which many consider the “mother-ship of American innovation”, Edison perfected his innovation process, moving raw ideas quickly from prototype to commercial products. As corporate R&D budgets are being cut and deferred, Edison would be vigorously chastising us not to eat our seed corn. 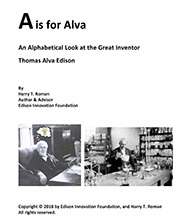 His invention factory concept was the prime mover for the great industrial revolution of the late 1800s…whose direct descendent is today’s digital revolution which thrives in Silicon Valley and Route 128 (Massachusetts). The companies that survive to become great companies are those that have robust R&D programs and a visceral corporate ethic centered on converting new ideas to marketable products-the essence of innovation. Foreign competitors probably have a better handle on Edison than most of our nation’s executives. 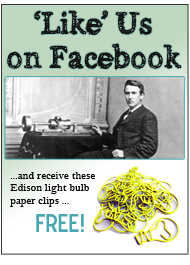 Perhaps our business sector needs a refresher course in what Edison was all about? 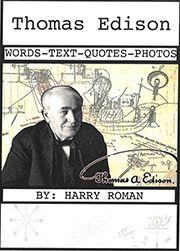 At the Edison Innovation Foundation, we understand the value of Edison’s invention factory. Teachers working with the Foundation are now starting to recognize this too. It is very much related to the now popular STEM style of education. STEM means the integrated teaching of science, technology, engineering and math; in a way that fosters creativity, invention, and an interdisciplinary approach to problem solving. Edison was a master at arranging teams of scientists, technologists, engineers, mathematicians, lawyers, marketers, craftsman and economists to get his products ready for market-the first “STEM Master” if you will; also doing pretty much what we expect ideal industrial project managers to do. He is relevant to both the classroom and the world of business. Thomas Edison can work his magic again for us. All we have to do is study, learn and apply…and you can help. At the Foundation we are working to bring Edison to many teachers and students, through publications, websites, classroom texts, and via in-service seminars and workshops we sponsor. We hope to branch out to webinars soon too. Make a donation and help us get this effort supercharged, or as we say, “Go Edisonic!” See the Donate Button on the left side of this page. Time® is a registered trademark of Time Inc. and all rights in the Edison story are reserved to that company. This entry was posted in Did You Know? and tagged Magazine, The History Issue, thomas edison, Thomas Edison on Time Magazine History Issue, Time, Time Magazine, Time Magazine History Issue, Time Magazine History Issue 2010 on June 30, 2010 by Edison Innovation Foundation.